Stunning halo prong set pendant in 14kt white gold. 14 round diamonds, total weight .30 carats. 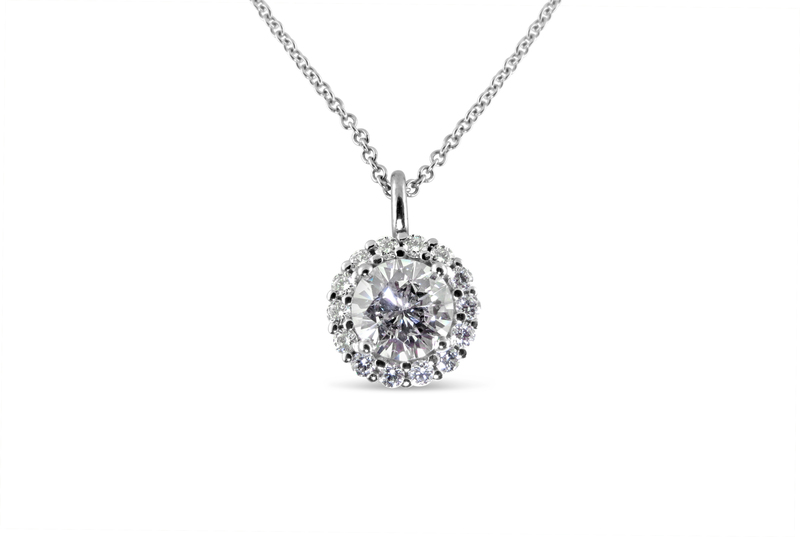 Price does not include the chain and the 1 carat center stone. Other size combinations and shapes are available. Please contact us for more information.